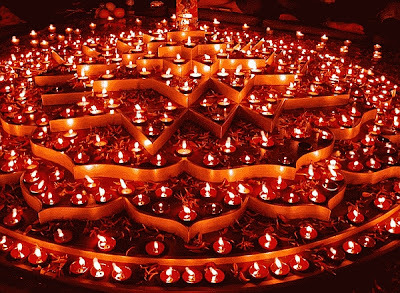 Shout Out to Nesa, Guna, Diren, Guna 2, Vimal & everyone out there who celebrates the festival of lights! According to Wikipedia, Deepavali or Divali has a spiritual meaning of "the awareness of the inner light". Just as there are celebrations for the birthday of our physical being, Deepavali is the celebration of our inner light. The light which outshines all darkness & awakens the individual to one's true nature. Deepavali celebrates this through festive fireworks, lights, flowers, sharing of sweets, and worship. There are varying stories behind Deepavali but the essence is the same: to rejoice in the inner light. Enjoy the festivities with your friends & family! Most significantly, enjoy the long weekend!! !